Homeopathy ( i/ˌhoʊmiˈɒpəθi/) or homoeopathy is a system of alternative medicine created in 1796 by Samuel Hahnemann, based on his doctrine of like cures like (similia similibus curentur), a claim that a substance that causes the symptoms of a disease in healthy people would cure similar symptoms in sick people. Homeopathy is a pseudoscience – a belief that is incorrectly presented as scientific. Homeopathic preparations are not effective for treating any condition; large-scale studies have found homeopathy to be no more effective than a placebo, suggesting that any positive feelings that follow treatment are only due to the placebo effect and normal recovery from illness. Hahnemann believed the underlying causes of disease were phenomena that he termed miasms, and that homeopathic preparations addressed these. The preparations are manufactured using a process of homeopathic dilution, in which a chosen substance is repeatedly diluted in alcohol or distilled water, each time with the containing vessel being bashed against an elastic material, (commonly a leather-bound book). Dilution typically continues well past the point where no molecules of the original substance remain. Homeopaths select homeopathics by consulting reference books known as repertories, and by considering the totality of the patient's symptoms, personal traits, physical and psychological state, and life history. Homeopathy is not a plausible system of treatment, as its dogmas about how drugs, illness, the human body, liquids and solutions operate are contradicted by a wide range of discoveries across biology, psychology, physics and chemistry made in the two centuries since its invention. Although some clinical trials produce positive results, multiple systematic reviews have indicated that this is because of chance, flawed research methods, and reporting bias. Continued homeopathic practice, despite the evidence that it does not work, has been criticized as unethical because it discourages the use of effective treatments, with the World Health Organization warning against using homeopathy to try to treat severe diseases such as HIV and malaria. The continued practice of homeopathy, despite a lack of evidence of efficacy, has led to it being characterized within the scientific and medical communities as nonsense, quackery, and a sham. Assessments by the Australian National Health and Medical Research Council, the United Kingdom's House of Commons Science and Technology Committee and the Swiss Federal Health Office have each concluded that homeopathy is ineffective, and recommended against the practice receiving any further funding. In 2016 the United States FTC issued an "Enforcement Policy Statement Regarding Marketing Claims for Over-the-Counter Homeopathic Drugs" which specified that the FTC will hold efficacy and safety claims for OTC homeopathic drugs to the same standard as other products making similar claims. An accompanying FTC press release stated that for the vast majority of OTC homeopathic drugs, there are no valid studies using current scientific methods showing the product’s efficacy, and that "homeopathic theories are not accepted by most modern medical experts." Homeopaths claim that Hippocrates may have originated homeopathy around 400 BC, when he prescribed a small dose of mandrake root to treat mania, knowing it produces mania in much larger doses. In the 16th century, the pioneer of pharmacology Paracelsus declared that small doses of "what makes a man ill also cures him". 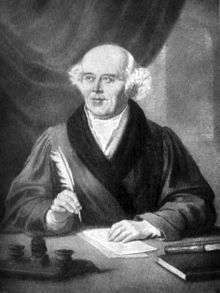 Samuel Hahnemann (1755–1843) gave homeopathy its name and expanded its principles in the late 18th century. Hahnemann’s hypotheses for the direct or remote cause of all chronic diseases (miasms) originally presented only three, psora (the itch), syphilis (venereal disease) or sycosis (fig-wart disease). Of these three the most important was psora (Greek for "itch"), described as being related to any itching diseases of the skin, supposed to be derived from suppressed scabies, and claimed to be the foundation of many further disease conditions. Hahnemann believed psora to be the cause of such diseases as epilepsy, cancer, jaundice, deafness, and cataracts. Since Hahnemann's time, other miasms have been proposed, some replacing one or more of psora's proposed functions, including tuberculosis and cancer miasms. According to Paul Ulrich Unschuld, the Nazi regime in Germany was fascinated by homeopathy, and spent large sums of money on researching its mechanisms, but without gaining a positive result. Unschuld further argues that homeopathy never subsequently took root in the United States, but remained more deeply established in European thinking. In the United States, the Food, Drug, and Cosmetic Act of 1938 (sponsored by Royal Copeland, a Senator from New York and homeopathic physician) recognized homeopathic preparations as drugs. In the 1950s, there were only 75 pure homeopaths practising in the U.S. However, by the mid to late 1970s, homeopathy made a significant comeback and sales of some homeopathic companies increased tenfold. Some homeopaths give credit for the revival to Greek homeopath George Vithoulkas, who performed a "great deal of research to update the scenarios and refine the theories and practice of homeopathy", beginning in the 1970s, but Ernst and Singh consider it to be linked to the rise of the New Age movement. Whichever is correct, mainstream pharmacy chains recognized the business potential of selling homeopathic preparations. The Food and Drug Administration held a hearing April 20 and 21, 2015, requesting public comment on regulation of homeopathic drugs. The FDA cited the growth of sales of over-the-counter homeopathic medicines which was $2.7 billion for 2007. Bruce Hood has argued that the increased popularity of homeopathy in recent times may be due to the comparatively long consultations practitioners are willing to give their patients, and to an irrational preference for "natural" products which people think are the basis of homeopathic preparations. 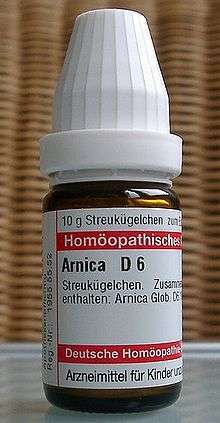 Homeopathic preparations are referred to as "homeopathics" or "remedies". Practitioners rely on two types of reference when prescribing: materia medica and repertories. A homeopathic materia medica is a collection of "drug pictures", organized alphabetically. These entries describe the symptom patterns associated with individual preparations. A homeopathic repertory is an index of disease symptoms that lists preparations associated with specific symptoms. In both cases different compilers may dispute particular inclusions. The first symptomatic homeopathic materia medica was arranged by Hahnemann. The first homeopathic repertory was Georg Jahr's Symptomenkodex, published in German in 1835, and translated into English as the Repertory to the more Characteristic Symptoms of Materia Medica by Constantine Hering in 1838. This version was less focused on disease categories and would be the forerunner to later works by James Tyler Kent. Repertories, in particular, may be very large. Isopathy is a therapy derived from homeopathy, invented by Johann Joseph Wilhelm Lux in the 1830s. Isopathy differs from homeopathy in general in that the preparations, known as "nosodes", are made up either from things that cause the disease or from products of the disease, such as pus. Many so-called "homeopathic vaccines" are a form of isopathy. The use of homeopathy in veterinary medicine is controversial; the little existing research on the subject is not of a high enough scientific standard to provide reliable data on efficacy. Other studies have also found that giving animals placebos can play active roles in influencing pet owners to believe in the effectiveness of the treatment when none exists. The British Veterinary Association's position statement on alternative medicines says that it "cannot endorse" homeopathy, and the Australian Veterinary Association includes it on its list of "ineffective therapies". Electrohomeopathy is a treatment devised by Count Cesare Mattei (1809–1896), who proposed that different "colours" of electricity could be used to treat cancer. Popular in the late nineteenth century, electrohomeopathy has been described as "utter idiocy". Abstract concepts within theoretical physics have been invoked to suggest explanations of how or why preparations might work, including quantum entanglement, quantum nonlocality, the theory of relativity and chaos theory. Contrariwise, quantum superposition has been invoked to explain why homeopathy does not work in double-blind trials. However, the explanations are offered by nonspecialists within the field, and often include speculations that are incorrect in their application of the concepts and not supported by actual experiments. :255–6 Several of the key concepts of homeopathy conflict with fundamental concepts of physics and chemistry. The use of quantum entanglement to explain homeopathy's purported effects is "patent nonsense", as entanglement is a delicate state which rarely lasts longer than a fraction of a second. While entanglement may result in certain aspects of individual subatomic particles acquiring linked quantum states, this does not mean the particles will mirror or duplicate each other, nor cause health-improving transformations. The proposed mechanisms for homeopathy are precluded from having any effect by the laws of physics and physical chemistry. The extreme dilutions used in homeopathic preparations usually leave none of the original substance in the final product. No individual preparation has been unambiguously shown by research to be different from placebo. The methodological quality of the primary research was generally low, with such problems as weaknesses in study design and reporting, small sample size, and selection bias. Since better quality trials have become available, the evidence for efficacy of homeopathy preparations has diminished; the highest-quality trials indicate that the preparations themselves exert no intrinsic effect. :206 A review conducted in 2010 of all the pertinent studies of "best evidence" produced by the Cochrane Collaboration concluded that "the most reliable evidence – that produced by Cochrane reviews – fails to demonstrate that homeopathic medicines have effects beyond placebo." Government-level reviews have been conducted in recent years by Switzerland (2005), the United Kingdom (2009) and Australia (2015). The United Kingdom's House of Commons Science and Technology Committee sought written evidence and submissions from concerned parties and, following a review of all submissions, concluded that there was no compelling evidence of effect other than placebo and recommended that the Medicines and Healthcare products Regulatory Agency (MHRA) should not allow homeopathic product labels to make medical claims, that homeopathic products should no longer be licensed by the MHRA, as they are not medicines, and that further clinical trials of homeopathy could not be justified. They recommended that funding of homeopathic hospitals should not continue, and NHS doctors should not refer patients to homeopaths. The Secretary of State for Health deferred to local NHS on funding homeopathy, in the name of patient choice. By February 2011 only one-third of primary care trusts still funded homeopathy. By 2012, no British universities offered homeopathy courses. The fact that individual randomized controlled trials have given positive results is not in contradiction with an overall lack of statistical evidence of efficacy. A small proportion of randomized controlled trials inevitably provide false-positive outcomes due to the play of chance: a "statistically significant" positive outcome is commonly adjudicated when the probability of it being due to chance rather than a real effect is no more than 5%―a level at which about 1 in 20 tests can be expected to show a positive result in the absence of any therapeutic effect. Furthermore, trials of low methodological quality (i.e. ones which have been inappropriately designed, conducted or reported) are prone to give misleading results. In a systematic review of the methodological quality of randomized trials in three branches of alternative medicine, Linde et al. highlighted major weaknesses in the homeopathy sector, including poor randomization. A separate 2001 systematic review that assessed the quality of clinical trials of homeopathy found that such trials were generally of lower quality than trials of conventional medicine. In 2002, a systematic review of the available systematic reviews confirmed that higher-quality trials tended to have less positive results, and found no convincing evidence that any homeopathic preparation exerts clinical effects different from placebo. Other meta-analyses include homeopathic treatments to reduce cancer therapy side-effects following radiotherapy and chemotherapy, allergic rhinitis, attention-deficit hyperactivity disorder and childhood diarrhoea, adenoid vegetation, asthma, upper respiratory tract infection in children, insomnia, fibromyalgia, psychiatric conditions and Cochrane Library reviews of homeopathic treatments for asthma, dementia, attention-deficit hyperactivity disorder, induction of labour, and irritable bowel syndrome. Other reviews covered osteoarthritis, migraines, postoperative ecchymosis and edema, delayed-onset muscle soreness, or eczema and other dermatological conditions. Some clinical trials have tested individualized homeopathy, and there have been reviews of this, specifically. A 1998 review found 32 trials that met their inclusion criteria, 19 of which were placebo-controlled and provided enough data for meta-analysis. These 19 studies showed a pooled odds ratio of 1.17 to 2.23 in favour of individualized homeopathy over the placebo, but no difference was seen when the analysis was restricted to the methodologically best trials. The authors concluded that "the results of the available randomized trials suggest that individualized homeopathy has an effect over placebo. The evidence, however, is not convincing because of methodological shortcomings and inconsistencies." Jay Shelton, author of a book on homeopathy, has stated that the claim assumes without evidence that classical, individualized homeopathy works better than nonclassical variations. :209 A systematic review and meta-analysis of trials of individualized homeopathy published in December 2014 concluded that individualized homeopathy may have small effects, but that caution was needed in interpreting the results because of study quality issues – no study included was assessed as being at low risk of bias. Health organizations such as the UK's National Health Service, the American Medical Association, the FASEB, and the National Health and Medical Research Council of Australia, have issued statements of their conclusion that there is "no good-quality evidence that homeopathy is effective as a treatment for any health condition". In 2009, World Health Organization official Mario Raviglione cricitized the use of homeopathy to treat tuberculosis; similarly, another WHO spokesperson argued there was no evidence homeopathy would be an effective treatment for diarrhoea. In 2001 and 2004, Madeleine Ennis published a number of studies which reported that homeopathic dilutions of histamine exerted an effect on the activity of basophils. In response to the first of these studies, Horizon aired a programme in which British scientists attempted to replicate Ennis' results; they were unable to do so. On 30 September 2016 the FDA issued a safety alert to consumers warning against the use of homeopathic teething gels and tablets following reports of adverse events after their use. The agency recommended that parents discard these products and "seek advice from their health care professional for safe alternatives" to homeopathy for teething. The pharmacy CVS announced, also on 30 September, that it was voluntarily withdrawing the products from sale and on 11 October Hyland's (the manufacturer) announced that it was discontinuing their teething medicine in the United States though the products remain on sale in Canada. On 12 October Buzzfeed reported that the regulator had "examined more than 400 reports of seizures, fever and vomiting, as well as 10 deaths" over a six year period. The investigation (including analyses of the products) is still ongoing and the FDA does not know yet if the deaths and illnesses were caused by the products. 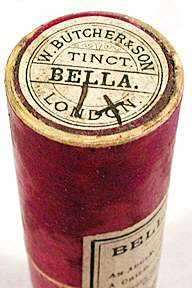 However a previous FDA investigation in 2010, following adverse effects reported then, found that these same products were improperly diluted and contained "unsafe levels of belladonna, also known as deadly nightshade" and that the reports of serious adverse events in children using this product were "consistent with belladonna toxicity". The lack of convincing scientific evidence supporting its efficacy and its use of preparations without active ingredients have led to characterizations as pseudoscience and quackery, or, in the words of a 1998 medical review, "placebo therapy at best and quackery at worst". The Chief Medical Officer for England, Dame Sally Davies, has stated that homeopathic preparations are "rubbish" and do not serve as anything more than placebos. Jack Killen, acting deputy director of the National Center for Complementary and Alternative Medicine, says homeopathy "goes beyond current understanding of chemistry and physics". He adds: "There is, to my knowledge, no condition for which homeopathy has been proven to be an effective treatment." Ben Goldacre says that homeopaths who misrepresent scientific evidence to a scientifically illiterate public, have "... walled themselves off from academic medicine, and critique has been all too often met with avoidance rather than argument". Homeopaths often prefer to ignore meta-analyses in favour of cherry picked positive results, such as by promoting a particular observational study (one which Goldacre describes as "little more than a customer-satisfaction survey") as if it were more informative than a series of randomized controlled trials. In the Committee's view, homeopathy is a placebo treatment and the Government should have a policy on prescribing placebos. The Government is reluctant to address the appropriateness and ethics of prescribing placebos to patients, which usually relies on some degree of patient deception. Prescribing of placebos is not consistent with an informed patient choice - which the Government claims is very important - as it means patients do not have all the information needed to make choice meaningful. On clinical grounds, patients who choose to use homeopathy in preference to normal medicine risk missing timely diagnosis and effective treatment, thereby worsening the outcomes of serious conditions. Critics of homeopathy have cited individual cases of patients of homeopathy failing to receive proper treatment for diseases that could have been easily diagnosed and managed with conventional medicine and who have died as a result, and the "marketing practice" of criticizing and downplaying the effectiveness of mainstream medicine. Homeopaths claim that use of conventional medicines will "push the disease deeper" and cause more serious conditions, a process referred to as "suppression". Some homeopaths (particularly those who are non-physicians) advise their patients against immunization. Some homeopaths suggest that vaccines be replaced with homeopathic "nosodes", created from biological materials such as pus, diseased tissue, bacilli from sputum or (in the case of "bowel nosodes") faeces. 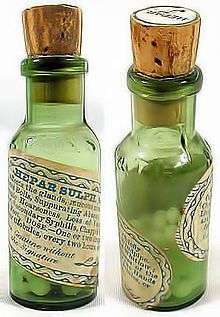 While Hahnemann was opposed to such preparations, modern homeopaths often use them although there is no evidence to indicate they have any beneficial effects. Cases of homeopaths advising against the use of anti-malarial drugs have been identified. This puts visitors to the tropics who take this advice in severe danger, since homeopathic preparations are completely ineffective against the malaria parasite. 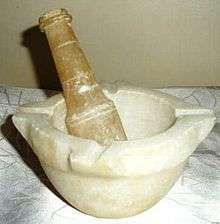 Also, in one case in 2004, a homeopath instructed one of her patients to stop taking conventional medication for a heart condition, advising her on 22 June 2004 to "Stop ALL medications including homeopathic", advising her on or around 20 August that she no longer needed to take her heart medication, and adding on 23 August, "She just cannot take ANY drugs – I have suggested some homeopathic remedies ... I feel confident that if she follows the advice she will regain her health." The patient was admitted to hospital the next day, and died eight days later, the final diagnosis being "acute heart failure due to treatment discontinuation". 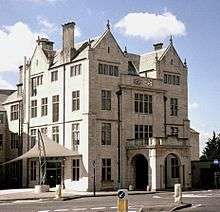 Hampton House, the former site of Bristol Homeopathic Hospital, one of three Homeopathic Hospitals in NHS. Some homeopathic treatment is covered by the public health service of several European countries, including France, the United Kingdom and Luxembourg. In other countries, such as Belgium, homeopathy is not covered. In Austria, the public health service requires scientific proof of effectiveness in order to reimburse medical treatments and homeopathy is listed as not reimbursable, but exceptions can be made; private health insurance policies sometimes include homeopathic treatment. The Swiss government, after a 5-year trial, withdrew coverage of homeopathy and four other complementary treatments in 2005, stating that they did not meet efficacy and cost-effectiveness criteria, but following a referendum in 2009 the five therapies have been reinstated for a further 6-year trial period from 2012. The Indian government recognizes homeopathy as one of its national systems of medicine; it has established AYUSH or the Department of Ayurveda, Yoga and Naturopathy, Unani, Siddha and Homoeopathy under the Ministry of Health & Family Welfare. The south Indian state of Kerala also gives the final nod for AYUSH department where homeopathy and Ayurveda are the main streams along with Sidha, Unani and Yoga. The Central Council of Homoeopathy was established in 1973 to monitor higher education in homeopathy, and National Institute of Homoeopathy in 1975. A minimum of a recognized diploma in homeopathy and registration on a state register or the Central Register of Homoeopathy is required to practise homeopathy in India. On 28 September 2016 the UK's Committee of Advertising Practice (CAP) Compliance team wrote to homeopaths  in the UK to "remind them of the rules that govern what they can and can’t say in their marketing materials." The letter highlights that "homeopaths may not currently make either direct or implied claims to treat medical conditions" and asks them to review their marketing communications "including websites and social media pages" to ensure compliance by 3 November 2016. The letter also includes information on sanctions in the event of non-compliance including, ultimately, "referral by the ASA to Trading Standards under the Consumer Protection from Unfair Trading Regulations 2008." In 2011, the non-profit, educational organizations Center for Inquiry (CFI) and the associated Committee for Skeptical Inquiry (CSI) have petitioned the U.S. Food and Drug Administration (FDA) to initiate 'rulemaking that would require all over-the-counter homeopathic drugs to meet the same standards of effectiveness as non-homeopathic drugs' and 'to place warning labels on homeopathic drugs until such time as they are shown to be effective'. In a separate petition, CFI and CSI request FDA to issue warning letters to Boiron, maker of Oscillococcinum, regarding their marketing tactic and criticize Boiron for misleading labelling and advertising of Oscillococcinum. In 2015, CFI filed comments urging the Federal Trade Commission to end the false advertising practice of homeopathy. On 15 November 2016, FTC declared that homeopathic products cannot include claims of effectiveness without 'competent and reliable scientific evidence.' If no such evidence exists, they must state this fact clearly on their labeling, and state that the product's claims are based only on 18th-century theories that have been discarded by modern science. Failure to do so will be considered a violation of the FTC Act. CFI in Canada is calling for persons that feel they were harmed by homeopathic products to contact them. Following a threat of legal action by the Good Thinking Society campaign group, the British government has stated that the Department of Health will hold a consultation in 2016 regarding whether homeopathic treatments should be added to the NHS treatments blacklist (officially, Schedule 1 of the National Health Service (General Medical Services Contracts) (Prescription of Drugs etc.) Regulations 2004), that specifies a blacklist of medicines not to be prescribed under the NHS. In March 2016, the University of Barcelona cancelled its Masters degree in Homeopathy citing "lack of scientific basis", after advice from the Spanish Ministry of Health stated that "Homeopathy has not definitely proved its efficacy under any indication or concrete clinical situation". Shortly afterwards, in April 2016, the University of Valencia announced the elimination of its Masters in Homeopathy for 2017. Labelling for homeopathic products To avert misleading label that the product is regulated by the FDA, all homeopathic products will be required to have prominent labels stating: 1) the product's claimed active ingredients in plain English, and 2) that the product has not been evaluated by the FDA for either safety or effectiveness. "The policy statement explains that the FTC will hold efficacy and safety claims for OTC homeopathic drugs to the same standard as other products making similar claims. That is, companies must have competent and reliable scientific evidence for health-related claims, including claims that a product can treat specific conditions. The statement describes the type of scientific evidence that the Commission requires of companies making such claims for their products... For the vast majority of OTC homeopathic drugs, the policy statement notes, 'the case for efficacy is based solely on traditional homeopathic theories and there are no valid studies using current scientific methods showing the product’s efficacy.' As such, the marketing claims for these products are likely misleading, in violation of the FTC Act." ↑ Hahnemann, Samuel (1833). The homœopathic medical doctrine, or "Organon of the healing art". Dublin: W.F. Wakeman. pp. iii, 48–49. Observation, reflection, and experience have unfolded to me that the best and true method of cure is founded on the principle, similia similibus curentur. To cure in a mild, prompt, safe, and durable manner, it is necessary to choose in each case a medicine that will excite an affection similar (ὅμοιος πάθος) to that against which it is employed. Translator: Charles H. Devrient, Esq. 1 2 Tuomela, R (1987). "Chapter 4: Science, Protoscience, and Pseudoscience". In Pitt JC, Marcello P. Rational Changes in Science: Essays on Scientific Reasoning. Boston Studies in the Philosophy of Science. 98. Springer. pp. 83–101. doi:10.1007/978-94-009-3779-6_4. ISBN 978-94-010-8181-8. 1 2 3 Smith K (2012). "Homeopathy is Unscientific and Unethical". Bioethics. 26 (9): 508–512. doi:10.1111/j.1467-8519.2011.01956.x. 1 2 Ladyman J (2013). "Chapter 3: Towards a Demarcation of Science from Pseudoscience". In Pigliucci M, Boudry M. Philosophy of Pseudoscience: Reconsidering the Demarcation Problem. University of Chicago Press. pp. 48–49. ISBN 978-0-226-05196-3. Yet homeopathy is a paradigmatic example of pseudoscience. It is neither simply bad science nor science fraud, but rather profoundly departs from scientific method and theories while being described as scientific by some of its adherents (often sincerely). 1 2 3 4 5 Ernst, E. (2002). "A systematic review of systematic reviews of homeopathy". British Journal of Clinical Pharmacology. 54 (6): 577–82. doi:10.1046/j.1365-2125.2002.01699.x. PMC 1874503 . PMID 12492603. ↑ Ernst, E. (December 2012). "Homeopathy: a critique of current clinical research". Skeptical Inquirer. 36 (6). ↑ "Homeopathy". American Cancer Society. Retrieved 12 October 2014. 1 2 3 4 UK Parliamentary Committee Science and Technology Committee - "Evidence Check 2: Homeopathy"
1 2 Grimes, D. R. (2012). "Proposed mechanisms for homeopathy are physically impossible". Focus on Alternative and Complementary Therapies. 17 (3): 149–155. doi:10.1111/j.2042-7166.2012.01162.x. 1 2 Shaw, DM (2010). "Homeopathy is where the harm is: Five unethical effects of funding unscientific 'remedies'". Journal of Medical Ethics. 36 (3): 130–131. doi:10.1136/jme.2009.034959. PMID 20211989. ↑ Mashta, O (24 August 2009). "WHO warns against using homoeopathy to treat serious diseases". BMJ. 339 (aug24 2): b3447–b3447. doi:10.1136/bmj.b3447. ↑ "Homeopathy is nonsense, says new chief scientist". Daily Telegraph. 18 Apr 2013. Retrieved September 9, 2013. ↑ Paul S. Boyer. The Oxford companion to United States history. ISBN 9780195082098. Retrieved January 15, 2013. After 1847, when regular doctors organized the American Medical Association (AMA), that body led the war on "quackery", especially targeting dissenting medical groups such as homeopaths, who prescribed infinitesimally small doses of medicine. Ironically, even as the AMA attacked all homeopathy as quackery, educated homeopathic physicians were expelling untrained quacks from their ranks. ↑ Musgrave, I (2014-04-08). "No evidence homeopathy is effective: NHMRC review". The Conversation. Retrieved January 10, 2015. ↑ "Swiss make New Year's regulations". SWI swissinfo.ch. Retrieved 2015-12-16. 1 2 "FTC: Enforcement Policy Statement on Marketing Claims for OTC Homeopathic Drugs" (PDF). FTC.gov. Retrieved 18 November 2016. 1 2 "Press Release: FTC Issues Enforcement Policy Statement Regarding Marketing Claims for Over-the-Counter Homeopathic Drugs". FTC.gov. Retrieved 18 November 2016. This article incorporates text from this source, which is in the public domain. ↑ W. Steven Pray (1 August 2003). a History of Nonprescription Product Regulation. Psychology Press. p. 192. ISBN 978-0-7890-1538-9. Retrieved 21 January 2013. ↑ Robert W. Ullman; Judyth Reichenberg-Ullman (1 October 1994). The patient's guide to homeopathic medicine. Picnic Point Press. pp. 1–2. ISBN 978-0-9640654-2-0. Retrieved 24 January 2013. ↑ Atwood, Kimball (4 January 2008). "Homeopathy and evidence-based medicine: back to the future". Science Based Medicine. Retrieved 9 September 2013. 1 2 Richard Haehl (1922). 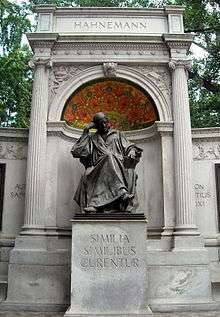 Samuel Hahnemann: His Life and Work : Based on Recently Discovered State Papers, Documents, Letters, Etc. B. Jain Publishers. p. 101. ISBN 978-81-7021-693-3. Retrieved 24 January 2013. ↑ Anne Taylor Kirschmann (2004). A vital force: women in American homeopathy. Rutgers University Press. p. 11. ISBN 978-0-8135-3320-9. Retrieved 28 January 2013. ↑ John Henry Clarke (1 January 2001). Homeopathy explained. Nanopathy. pp. 22–. GGKEY:JWCD56EF80T. Retrieved 12 January 2013. ↑ Encyclopædia Britannica (Encyclopædia Britannica ed.). Encyclopædia Britannica, Inc. 1911. Retrieved 27 August 2015. ↑ Miller, Timothy (1995). America's alternative religions. State University of New York Press, Albany. p. 80. ISBN 978-0-7914-2397-4. ↑ Paul Ulrich Unschuld (9 August 2009). What Is Medicine? : Western and Eastern Approaches to Healing. University of California Press. p. 171. ISBN 978-0-520-94470-1. Retrieved 7 September 2013. 1 2 3 Jonas, WB; TJ Kaptchuk; K Linde (2003). "A critical overview of homeopathy.". Annals of Internal Medicine. 138 (5): 393–399. doi:10.7326/0003-4819-138-5-200303040-00009. PMID 12614092. ↑ Lockie, Andrew (2000). Encyclopedia of Homeopathy (1st ed.). New York City, NY: Dorling Kindersley. p. 19. ISBN 978-0-7566-1871-1. ↑ Kelly Servick (April 21, 2015). "FDA takes new look at homeopathy". Science. Retrieved April 23, 2015. Under FDA guidelines issued in 1988, a company can sell homeopathic products over the counter without demonstrating their safety or efficacy, and―unlike dietary supplements―their packaging can include claims about treating specific conditions, as long as they are “self-limiting” and not chronic. Such conditions include sprains, colds, or allergies. ↑ U.S. Food and Drug Administration (March 27, 2015). "Homeopathic Product Regulation: Evaluating the Food and Drug Administration's Regulatory Framework After a Quarter-Century; Public Hearing". federalregister.gov. Federal Register. Retrieved April 23, 2015. ↑ Bruce M. Hood (7 April 2009). SuperSense. HarperCollins. p. 157. ISBN 978-0-06-186793-4. Retrieved 7 September 2013. ↑ "Homeopathy: Diluted out of existence?". scilogs.com/in_scientio_veritas. Retrieved 15 June 2015. ↑ "Homeopathic Medicine Potency or Dilution". ritecare.com. Archived from the original on 21 August 2015. Retrieved 15 June 2015. ↑ In standard chemistry, this produces a substance with a concentration of 0.01%, measured by the volume-volume percentage method. ↑ "Archived copy". Archived from the original on 2015-08-21. Retrieved 2015-06-15. ↑ Page 3. "ALTERNATIVE MEDICINE: HOMEOPATHY-A REVIEW" (PDF). International Journal of Pharmacotherapy. Retrieved 10 August 2015. 1 2 3 For further discussion of homeopathic dilutions and the mathematics involved, see Homeopathic dilutions. ↑ van Haselen, R. (Nov 2005). "To which extent should potency choice in homeopathy be "regulated": has European legislation gone too far?". Wien Med Wochenschr. 155 (21-22): 479–81. doi:10.1007/s10354-005-0231-z. PMID 16425107. ↑ Bradford, Thomas Lindsley (1895). The Life and Letters of Dr. Samuel Hahnemann. Philadelphia: Boericke & Tafel. pp. 103–104. ISBN 978-1330001509. Retrieved 27 August 2015. ↑ Sagar, SM (2007), "Homeopathy: Does a teaspoon of honey help the medicine go down? ", Current oncology (Toronto, Ont. ), 14 (4): 126–7, doi:10.3747/co.2007.150, PMC 1948865 , PMID 17710203. 1 2 Label data Archived March 3, 2016, at the Wayback Machine. ↑ Harris, Gardinier (June 16, 2009). "FDA Warns Against Use of Zicam". New York Times. ↑ Mathie, RT; Clausen, J (18 October 2014). "Veterinary homeopathy: systematic review of medical conditions studied by randomised placebo-controlled trials.". The Veterinary record. 175 (15): 373–81. doi:10.1136/vr.101767. PMID 25324413. ↑ Mathie, RT; Clausen, J (15 September 2015). "Veterinary homeopathy: systematic review of medical conditions studied by randomised trials controlled by other than placebo.". BMC Veterinary Research. 11: 236. doi:10.1186/s12917-015-0542-2. PMID 26371366. ↑ "Veterinary medicines". British Veterinary Association. Retrieved January 5, 2015. ↑ "Ineffective therapies". Australian veterinary association. Retrieved January 5, 2015. ↑ Kempf, EJ (1906). "European Medicine: A Résumé of Medical Progress During the Eighteenth and Nineteenth Centuries". Medical library and historical journal. 4 (1): 86–100. PMC 1692573 . PMID 18340908. ↑ "Is bad homeopathic advice putting travellers at risk?". Newsnight. BBC. 2011-01-05. Retrieved January 10, 2015. ↑ Behrmann, Jason (September 2010). "The anti-vaccination movement and resistance to allergen-immunotherapy: a guide for clinical allergists". Allergy Asthma Clin Immunolv. 6 (1): 26. doi:10.1186/1710-1492-6-26. PMC 2949815 . PMID 20843332. ↑ "Vaccine alternatives offered by homeopaths 'irresponsible'". Marketplace. CBC. 2014-11-28. Retrieved January 10, 2015. ↑ Poling, Samantha (2010-09-13). "Doctors warn over homeopathic 'vaccines'". BBC. Retrieved January 10, 2015. ↑ "Court finds Homeopathy Plus! vaccine claims misleading". Australian Competition and Consumer Commission. 2014-12-23. Retrieved January 10, 2015. 1 2 Maddox, J; Randi, J; Stewart, W (1988). ""High-dilution" experiments a delusion". Nature. 334 (6180): 287–291. Bibcode:1988Natur.334..287M. doi:10.1038/334287a0. PMID 2455869. ↑ Coghlan A (1 February 2010). 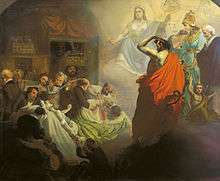 "Mass drug overdose – none dead". New Scientist. Retrieved 2012-04-20. ↑ Rose Shapiro (30 September 2010). Suckers: How Alternative Medicine Makes Fools of Us All. Random House. pp. 97–. ISBN 978-1-4090-5916-5. ↑ Milgrom, Lionel R. (2007). "Journeys in the Country of the Blind: Entanglement Theory and the Effects of Blinding on Trials of Homeopathy and Homeopathic Provings". Evidence-Based Complementary and Alternative Medicine. 4 (1): 7–16. doi:10.1093/ecam/nel062. PMID 17342236. ↑ "Homeopathy: An Introduction". NCCAM. Retrieved 25 March 2014. 1 2 Orzel, Chad (2009). How to Teach Physics to Your Dog. Simon & Schuster. pp. 221–3. ISBN 141657901X. ↑ Becker-Witt, C; Weisshuhn, TE; Lüdtke, R; Willich, SN (February 2003). "Quality assessment of physical research in homeopathy.". Journal of alternative and complementary medicine (New York, N.Y.). 9 (1): 113–32. doi:10.1089/107555303321222991. PMID 12676040. ↑ Technical Committee ISO/TC 47, Chemistry (1987). "ISO 3696:1987 Water for analytical laboratory use -- Specification and test methods". International Organization for Standardization. ↑ Oberbaum, M; Singer, SR; Samuels, N. (Jul 2010). "Hormesis and homeopathy: bridge over troubled waters". Hum Exp Toxicol. 29 (7): 567–71. doi:10.1177/0960327110369777. PMID 20558608. ↑ Khuda‐Bukhsh, Anisur Rahman (2003). "Towards understanding molecular mechanisms of action of homeopathic drugs: an overview". Molecular and Cellular Biochemistry. 253 (1/2): 339–345. doi:10.1023/A:1026048907739. PMID 14619985. ↑ Smith, Kevin (Apr 2012). "Homeopathy is unscientific and unethical". Bioethics. 26 (9): 508–12. doi:10.1111/j.1467-8519.2011.01956.x. ↑ Williams N (26 November 2002), Homeopathy: The test, Horizon (BBC), retrieved 2007-01-26 (transcript). ↑ Ernst, E. (2010). "Homeopathy: What does the "best" evidence tell us?". Medical Journal of Australia. 192 (8): 458–460. PMID 20402610. ↑ Shaw, David (May 2012). "The Swiss report on homeopathy: a case study of research misconduct". Swiss Medical Weekly. 142: w13594. doi:10.4414/smw.2012.13594. PMID 22653406. ↑ Gurtner, Felix (December 2012). "The report "Homeopathy in healthcare: effectiveness, appropriateness, safety, costs" is not a "Swiss report"". Swiss Medical Weekly. 142: w13723. doi:10.4414/smw.2012.13723. PMID 23255156. ↑ "Third of NHS trusts fund homeopathy". BBC News. 19 Feb 2011. Retrieved September 7, 2011. ↑ Bevanger, Lars (January 18, 2012). "UK universities drop alternative medicine degree programs". Deutsche Welle. Retrieved February 5, 2012. 1 2 3 National Health and Medical Research Council (2015). NHMRC statement on homeopathy and NHMRC information paper - Evidence on the effectiveness of homeopathy for treating health conditions. Canberra: National Health and Medical Research Council. p. 16. ISBN 978-1-925129-29-8. There is no reliable evidence that homoeopathy is effective for treating health conditions. ↑ Jonas, WB; Anderson, RL; Crawford, CC; Lyons, JS (2001). "A systematic review of the quality of homeopathic clinical trials". BMC Complementary and Alternative Medicine. 1: 12. doi:10.1186/1472-6882-1-12. PMC 64638 . PMID 11801202. ↑ Liberati, A; Altman, DG; Tetzlaff, J; Mulrow, C; Gøtzsche, PC; Ioannidis, J PA; Clarke, M; Devereaux, PJ; Kleijnen, J; Moher, D (2009). "The PRISMA statement for reporting systematic reviews and meta-analyses of studies that evaluate health care interventions: explanation and elaboration". PLoS Medicine. 6 (7): e1000100. doi:10.1371/journal.pmed.1000100. PMC 2707010 . PMID 19621070. ↑ Linde, K; Hondras, M; Vickers, A; Ter Riet, G; Melchart, D (2001). "Systematic reviews of complementary therapies - an annotated bibliography. Part 3: Homeopathy". BMC Complementary and Alternative Medicine. 1 (1): 4. doi:10.1186/1472-6882-1-4. PMC 45586 . PMID 11527508. ↑ The role of plausibility in the evaluation of scientific research, Almeida RM, Rev Saude Publica 2011 Jun;45(3):617-20. ↑ Fisher, P (March 2006). "Homeopathy and The Lancet". Evid Based Complement Alternat Med. 3 (1): 145–147. doi:10.1093/ecam/nek007. PMC 1375230 . PMID 16550237. ↑ Passalacqua, Giovanni; Bousquet, Philippe J.; Carlsen, Kai-Hakon; Kemp, James; Lockey, Richard F.; Niggemann, Bodo; Pawankar, Ruby; Price, David; Bousquet, Jean (May 2006). "ARIA update: I―Systematic review of complementary and alternative medicine for rhinitis and asthma". Journal of Allergy and Clinical Immunology. 117 (5): 1054–1062. doi:10.1016/j.jaci.2005.12.1308. PMID 16675332. ↑ Cooper, Katy L.; Relton, Clare (October 2010). "Homeopathy for insomnia: A systematic review of research evidence". Sleep Medicine Reviews. 14 (5): 329–337. doi:10.1016/j.smrv.2009.11.005. PMID 20223686. ↑ Perry, R; Terry, R; Ernst, E (May 2010). "A systematic review of homoeopathy for the treatment of fibromyalgia". Clinical rheumatology. 29 (5): 457–64. doi:10.1007/s10067-009-1361-2. PMID 20099019. ↑ Davidson, JR; Crawford, C; Ives, JA; Jonas, WB (June 2011). "Homeopathic treatments in psychiatry: a systematic review of randomized placebo-controlled studies". The Journal of Clinical Psychiatry. 72 (6): 795–805. doi:10.4088/jcp.10r06580. PMID 21733480. In summary, our review demonstrates that well-designed and comprehensively reported homeopathic studies in psychiatry are few and far between and preclude firm conclusions about the efficacy of this treatment in any single disorder. The same holds true for safety. ↑ Coulter, MK; Dean, ME (17 October 2007). "Homeopathy for attention deficit/hyperactivity disorder or hyperkinetic disorder.". The Cochrane database of systematic reviews (4): CD005648. doi:10.1002/14651858.CD005648.pub2. PMID 17943868. ↑ Peckham, EJ; Nelson, EA; Greenhalgh, J; Cooper, K; Roberts, ER; Agrawal, A (13 November 2013). "Homeopathy for treatment of irritable bowel syndrome". The Cochrane database of systematic reviews. 11 (11): CD009710. doi:10.1002/14651858.CD009710.pub2. PMID 24222383. ↑ Ho, D; Jagdeo, J; Waldorf, HA (April 2016). "Is There a Role for Arnica and Bromelain in Prevention of Post-Procedure Ecchymosis or Edema? A Systematic Review of the Literature.". Dermatologic Surgery: official publication for American Society for Dermatologic Surgery [et al.] 42 (4): 445–63. doi:10.1097/DSS.0000000000000701. PMID 27035499. ↑ Ernst, E (2012). "Homeopathy for eczema: a systematic review of controlled clinical trials". British Journal of Dermatology. 166 (6): 1170–1172. doi:10.1111/j.1365-2133.2012.10994.x. PMID 22568455. ↑ Simonart, T; Kabagabo, C; De Maertelaer, V (October 2011). "Homoeopathic remedies in dermatology: a systematic review of controlled clinical trials". The British journal of dermatology. 165 (4): 897–905. doi:10.1111/j.1365-2133.2011.10457.x. PMID 21668433. 1 2 "Health A-Z -- Homeopathy". National Health Service. Retrieved 2013-04-22. ↑ AMA Council on Scientific Affairs (1997). "Alternative medicine: Report 12 of the Council on Scientific Affairs (A–97)". American Medical Association. Retrieved 2009-03-25. ↑ "Homeopathy not a cure, says WHO". BBC News. 20 August 2009. Retrieved 20 October 2014. 1 2 American College of Medical Toxicology; American Academy of Clinical Toxicology (February 2013), "Five things physicians and patients should question", Choosing Wisely: an initiative of the ABIM Foundation, American College of Medical Toxicology and American Academy of Clinical Toxicology, retrieved 5 December 2013 , which cites Woodward, KN (May 2005). "The potential impact of the use of homeopathic and herbal remedies on monitoring the safety of prescription products". Human & Experimental Toxicology. 24 (5): 219–33. doi:10.1191/0960327105ht529oa. PMID 16004184. ↑ Brien S; Lachance S; Prescott P; McDermott C; Lewith G (June 2011). "Homeopathy has clinical benefits in rheumatoid arthritis patients that are attributable to the consultation process but not the homeopathic remedy: a randomized controlled clinical trial". Rheumatology. 50 (6): 1070–82. doi:10.1093/rheumatology/keq234. PMC 3093927 . PMID 21076131. ↑ Vickers, AJ (December 1999). "Independent replication of pre-clinical research in homeopathy: a systematic review.". Forschende Komplementärmedizin. 6 (6): 311–20. doi:10.1159/000021286. PMID 10649002. ↑ Witt, CM; Bluth, M; Albrecht, H; Weisshuhn, TE; Baumgartner, S; Willich, SN (June 2007). "The in vitro evidence for an effect of high homeopathic potencies--a systematic review of the literature.". Complementary therapies in medicine. 15 (2): 128–38. doi:10.1016/j.ctim.2007.01.011. PMID 17544864. ↑ Benveniste defended his results by comparing the inquiry to the Salem witch hunts and asserting that "It may be that all of us are wrong in good faith. This is no crime but science as usual and only the future knows." ↑ Brown, V; Ennis, M (April 2001). "Flow-cytometric analysis of basophil activation: inhibition by histamine at conventional and homeopathic concentrations". Inflammation Research. 50 Suppl 2: S47–8. doi:10.1007/PL00022402 (inactive 2016-09-28). PMID 11411598. ↑ Cumps, J.; Ennis, M.; Mannaioni, P. F.; Roberfroid, M.; Sainte-Laudy, J.; Wiegant, F. A. C.; Belon, P. (1 April 2004). "Histamine dilutions modulate basophil activation". Inflammation Research. 53 (5): 181–188. doi:10.1007/s00011-003-1242-0. PMID 15105967. ↑ "Homeopathy: The Test". BBC. Retrieved 29 April 2015. ↑ "ASA adjudication on Society of Homeopaths". ASA. 3 July 2013. Retrieved 4 July 2013. ↑ "Court imposes penalty for false or misleading claims by Homeopathy Plus and Ms Frances Sheffield". ACCC. 14 October 2015. Retrieved 31 March 2016. 1 2 Posadzki, P; Alotaibi, A; Ernst, E (2012). "Adverse effects of homeopathy: A systematic review of published case reports and case series". International Journal of Clinical Practice. 66 (12): 1178–1188. doi:10.1111/ijcp.12026. PMID 23163497. ↑ "Hyland's Teething Tablets: Recall - risk of harm to children". Food and Drug Administration. 23 October 2010. Retrieved 9 August 2013. ↑ "Homeopathic Teething Tablets and Gels: FDA Warning - Risk to Infants and Children". FDA. 30 September 2016. Retrieved 17 October 2016. ↑ "FDA warns against the use of homeopathic teething tablets and gels". FDA. 30 September 2016. Retrieved 17 October 2016. ↑ "BRIEF-CVS Pharmacy announces voluntary withdrawal of homeopathic teething products". 30 September 2016. Retrieved 17 October 2016. ↑ "A Letter from Hyland's". Hyland's. 11 October 2016. Retrieved 17 October 2016. ↑ Stueck, Wendy (16 October 2016). "Homeopathic teething products pulled in U.S. still sold in Canada". The Globe and Mail. Retrieved 18 October 2016. ↑ Miranda, Leticia (12 October 2016). "These Homeopathic Teething Products May Have Led To 10 Deaths". Buzzfeed. Retrieved 17 October 2016. ↑ Mole, Beth (13 October 2016). "FDA: Homeopathic teething gels may have killed 10 babies, sickened 400". Ars Technica UK. Retrieved 17 October 2016. ↑ Dantas, F; Rampes, H (2000). "Do homeopathic medicines provoke adverse effects? A systematic review". British Homoeopathic journal. 89: S35–S38. doi:10.1054/homp.1999.0378. PMID 10939781. ↑ Edzard Ernst. "The risks of homeopathy?". Retrieved 9 December 2012. ↑ Stub, T; Musial, F; Kristoffersen, AA; Alræk, T; Liu, J (June 2016). "Adverse effects of homeopathy, what do we know? A systematic review and meta-analysis of randomized controlled trials.". Complementary Therapies in Medicine. 26: 146–63. doi:10.1016/j.ctim.2016.03.013. PMID 27261996. 1 2 Adler J (2004-02-04). "No way to treat the dying". Newsweek. ↑ Silverman, Rosa. "Homeopathy is 'rubbish', says chief medical officer". The Daily Telegraph. London: TMG. ISSN 0307-1235. OCLC 49632006. Retrieved 24 January 2013. ↑ "Homeopathy: an introduction". National Center for Complementary and Alternative Medicine. April 2012. Retrieved 9 January 2013. ↑ Goldacre, Ben. "A kind of magic?". The Guardian. Retrieved 6 June 2015. ↑ Coffman, Becky. "A cautionary tale: the risks of unproven antimalarials". Centers for Disease Control. ↑ Campbell A (October 1978). "The science of homoeopathy, by G. Vithoulkas". British Homoeopathic Journal (book review). 67 (4): 299. doi:10.1016/S0007-0785(78)80061-1. ↑ Nick Collins (18 April 2013). "Homeopathy is nonsense, says new chief scientist". The Daily Telegraph. ↑ Richard Gray (9 April 2013). "Homeopathy on the NHS is 'mad' says outgoing scientific adviser". The Daily Telegraph. ↑ Rechtssatz (legal rule) , RS0083796 (German) (Oberster Gerichtshof OGH - Austrian supreme court 28 February 1994). ↑ "AYUSH". Government of India. website. ↑ "Professional Councils". University Grants Commission (UGC) website. Archived from the original on 2010-01-06. ↑ "Diluting misleading claims - ASA update". Nightingale Collaboration. 29 September 2016. Retrieved 30 September 2016. ↑ "Advertising standards for homeopathy". Advertising Standards Authority. 29 September 2016. Retrieved 30 September 2016. ↑ CAP Compliance Team (28 September 2016). "Advertising standsards for homeopaths" (PDF). Committee of Advertising Practice. Retrieved 30 September 2016. ↑ "James Randi's fiery takedown of psychic fraud". TED. Retrieved 2012-05-08. ↑ Randi, James. "James Randi speaks homeopathy week 2010". JREF. ↑ Randi, James. "James Randi Lecture @ Caltech - Homeopathy". California Institute of Technology. Retrieved 2012-05-09. ↑ Randi, James. "James Randi's challenge to homeopathy manufacturers and retail pharmacies". JREF. Retrieved 2012-05-09. ↑ "The 10:23 Challenge 2011 Gallery". Merseyside Skeptics Society. Retrieved 2011-04-11. ↑ Munger, Kel. "Drugs, not bugs". Sacramento News Review. Retrieved 2012-05-04. ↑ "Mixing homeopathic "remedies" for 2011 San Francisco 10:23 "Overdose"". 10:23 campaign. Retrieved 2012-05-09. ↑ "CFI and CSI petition FDA to take action on homeopathic drugs" (Press release). Center for Inquiry. 30 August 2011. ↑ Press Release (23 November 2015). "CFI and Dawkins Foundation Urge FTC to Stop Homeopathy's Falso Advertising". CFI. Retrieved 17 November 2016. ↑ Press Release (15 November 2016). "FTC Issues Enforcement Policy Statement Regarding Marketing Claims for Over-the-Counter Homeopathic Drugs: Efficacy and Safety Claims Are Held to Same Standard as Other OTC Drug Claims". FTC. Retrieved 17 November 2016. ↑ "Harmed by homeopathy? CFI wants to hear from you". Center for Inquiry. 18 April 2012. Retrieved 2012-05-04. ↑ "Suit Targets Homeopathic Flu Remedy Claims". Casewatch. 18 August 2011. Retrieved 2012-05-05. ↑ "Boiron oscillococcinum class action lawsuit". Top Class Actions. 8 August 2011. Retrieved 2011-09-24. ↑ "Boiron to pay up to $12M to end false advertising suits". Law360.com. 2012-03-07. Retrieved 2015-03-25. ↑ Johnson,Erica. "Homeopathy: Cure or Con? Part 1 of 2". CBC News. Retrieved 26 June 2012. ↑ Johnson,Erica. "Homeopathy: cure or con? Part 2 of 2". CBC News. Retrieved 26 June 2012. ↑ James Gallagher (13 November 2015). "Homeopathy 'could be blacklisted'". BBC News. ↑ Damien Gayle (14 November 2015). "Homeopathy on prescription could be banned from NHS". The Guardian. ↑ "GPs could be banned from giving out homeopathy on prescription". Daily Telegraph. 13 November 2015. ↑ "La Universidad de Barcelona fulmina su máster de homeopatía". El País. 4 March 2016. ↑ "El Máster de Homeopatía de la Universidad de Valencia cancela su edición para el próximo curso.". Diario ABC. 7 April 2016. ↑ Nazeer, Mohamed (28 June 2016). "Online petition opens debate over scientific base of homoeopathy". The Hindu. Retrieved 2016-07-07. ↑ TNM Staff (29 June 2016). "'Homeopathy is unscientific and ineffective', petition calls for stopping courses". The News Minute. Retrieved 2016-07-07. ↑ Frazier, Kendrick (2015). "CFI testimony urges FDA to regulate homeopathic products". Skeptical Inquirer. Center for Inquiry. 39 (4): 6–7. 1 2 3 De Dora, Michael (20 April 2015). "Homeopathic product regulation: evaluating the Food and Drug Administration's regulatory framework after a quarter-century. Testimony of the Center for Inquiry to the Food and Drug Administration" (PDF). FDA. ↑ Mowry, J; et al. (2013). "2012 Annual Report of the American Association of Poison Control Centers' National Poison Data System (NPDS): 30th Annual Report" (PDF). Clinical Toxicology. Informa. 51 (10): 949–1229. doi:10.3109/15563650.2013.863906. PMID 24359283. ↑ "What's the harm in homeopathy". whatstheharm.net. ↑ "Homeopathic Medicine & Advertising Workshop Report" (PDF). FTC.gov. Retrieved 18 November 2016.